Educators, parents, and kids, please read DOLL-E 1.0, and enjoy this FREE fun! 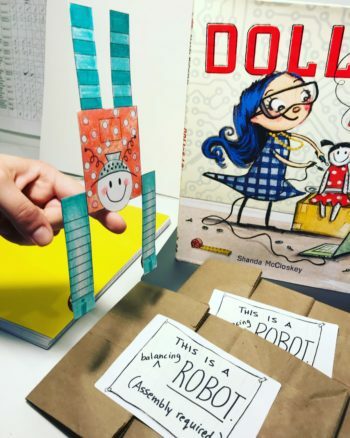 “My Robot” write and illustrate activity! Balancing Doll-E 1.0 STEM/STEAM activity! Makey-Makey Labz guide for making your own talking doll/robot with spare parts, Scratch, and a Makey Makey kit!